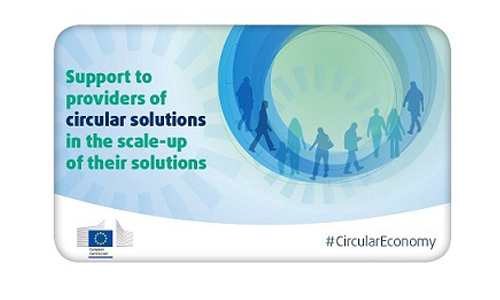 A group of 13 organisations from the plastics value chain has called on member states and other stakeholders to help them meet their EU circular economy goals. The entities, including PlasticsEurope, European Plastics Converters and Plastics Recyclers Europe, gave a status update on their voluntary commitments at their first annual event ‘the EU Plastics Industries – towards circularity’ on 11 December. “The achievement of the ambitious sustainability targets depends not only on the industry but requires the support of national authorities, European legislators and consumers alike. More collection and better sorting are needed to increase recycling and incorporate more recyclate into new products,” they said. They told delegates that the European plastics industry and value chain are “embracing the circular economy” and have developed an “extensive and ambitious set of voluntary measures to close the loop for plastics”. The event will be organised on an annual basis to “guarantee an open and public reporting and transparent dialogue” with stakeholders on the industry’s progress, they said in a press release. In December, the European Commission confirmed that the trade bloc’s non-toxic environment strategy, due by the end of the year, will be postponed until the new European Commission takes office in 2019. Under the 7th Environment Action Programme, which steers the bloc’s policies until 2020, the Commission is legally obliged to release its strategy this year on how it will eliminate toxic substances from the environment. The EU executive is due to publish a communication in January on the interface between chemical, product and waste legislation.